Karima Hedhili is in charge of communications and marketing for Dynamo Cycling, but she also writes and DJs. Previously, she worked on the La Mode, La Mode, La Mode a seminal French fashion series, with the talented - and hysterical - Mlle Agnès, as well as on documentaries by Loïc Prigent. Bra: Nike. 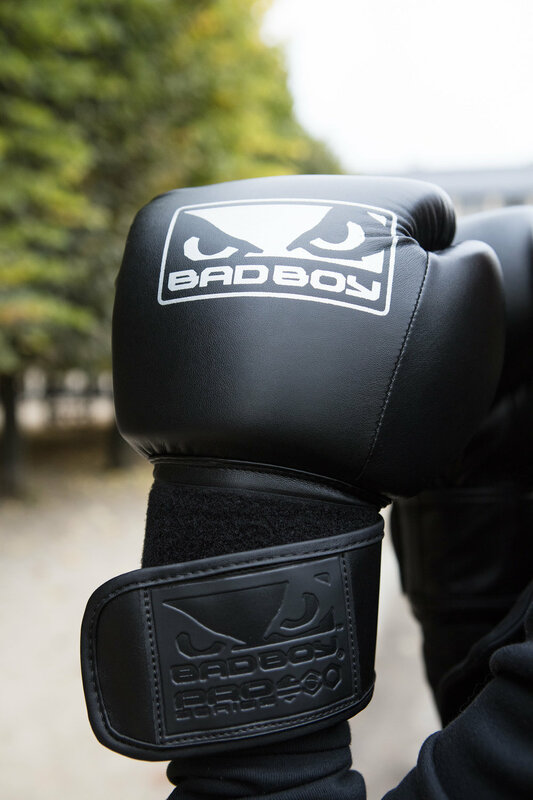 Gloves: Bad Boy. All Images by Corinne Stoll. She hosted Parisian parties, and then finally decided to switch from night owl to early bird, now bustling back and forth between the Champs Elysées and the Opéra wellness areas, as a key player in the French indoor cycling revolution. When she is not overseeing an army of bikers in black leggings, the studio coaches and her teams, she channels her energy with good old hooks, jabs, punches and kicks. I/O: A first sports memory? K: A volleyball match between girls! There were only 8 or 10 of us, but it felt like we were playing the game of our lives. I/O: And the first sports that made you feel confident? K: Boxing. For me, it's the most noble. It's amazing how much courage and combativeness it takes to enter a ring. It is not surprising that it's one of the sports you see the most in movies. There are so many films about boxing but I think that my favorite one is "The Harder They Fall" with Humphrey Bogart. K: Mohammed Ali and Éric Cantona. Hard to choose. Both are part of history in their own ways. I see myself in their values, their fights. I also admire their eloquence. I/O: Best sports moment of the last 20 years? K: PSG (Editor's Note: Paris Saint Germain) makes me happy and so emotional, season after season. But Estelle Mossely and Tony Yoka's gold medals this summer in Rio were thrilling, too! It was very moving to see this young couple make a clean switch off. I also have a soft spot for Alexis Vastine, another big boxing champion in France, who suffered two injustices at the Olympics in Beijing and London. But took a nice revenge! Shirt: Versace. Boots: Louboutin. Top: Nike. Leggings: Dynamo x Lululemon. K: Sports are definitely key for physical wellness and have a strong effect on the mind as well. Working on my mind helps me in my everyday life. In order to deal with my feelings, for example. K: I am lucky because on a professional level, I like what I do. I am one of those women for whom personal fulfillment also comes from work. Being in charge of communications at Dynamo is work of course, but it's also something very innovative. K: Live your life in joy and gratitude every single day. K: I would not talk about a new feminism but a rebirth of feminist activism. Activists of the years 2000 are continuing the fights of the 70s, just with new means of communications. The internet is full of feminist blogs and forums. Free speech for women strengthens the bond between them and entails a real social meaning. I/O: How would you define the relationship that France has with active life? K: For a long time, practicing sports was not an activity related to pleasure. Over the past few years, this has changed and we finally understand the benefits that physical activity can have on the body and mind. Gyms, fitness studios and juice bars blossom everywhere. It is not just a trend anymore. It is a new era. At Dynamo, we have very early classes. In the beginning, people struggled to attend, but now working out before work has become an integral part of their schedules. Performance Outfit: Nike. Gloves: Bad Boy. I/O: What about sportswear? Do you think it is still a fashion trend or a new evolution of the French wardrobe? K: I've really fallen for it, like most people now, I guess. The secret is to find the right balance. For example the sweat pants, high heels combo will never appeal to me! I/O: Head to toe black or color? K: I am a chameleon. I can be dressed in head to toe black one day, and like a rainbow the next. It all depends on my mood. I/O: What's the French touch in sports? K: Working out more to eat more! 1 tip to improve performance: Stay focused, stick to a routine. And remember your objectives when you're about to give up. 1 coach: Clotilde Chaumet. Whether she's on a bike or teaching yoga, her voice and the feeling she projects stun me! (Editor's Note: Clotilde is a coach at Dynamo Cycling, she also teaches yoga. And she's the face of the Nike Beautiful x Powerful campaign). 1 power song: "Big Momma Thang" by Lil Kim. 1 appl: Nike Training Club (NTC). 1 drink: A homemade iced tea. 1 inspiration: My five year old nephew. He does boxing and loves his sewing classes at the same time. He could care less about what people think. 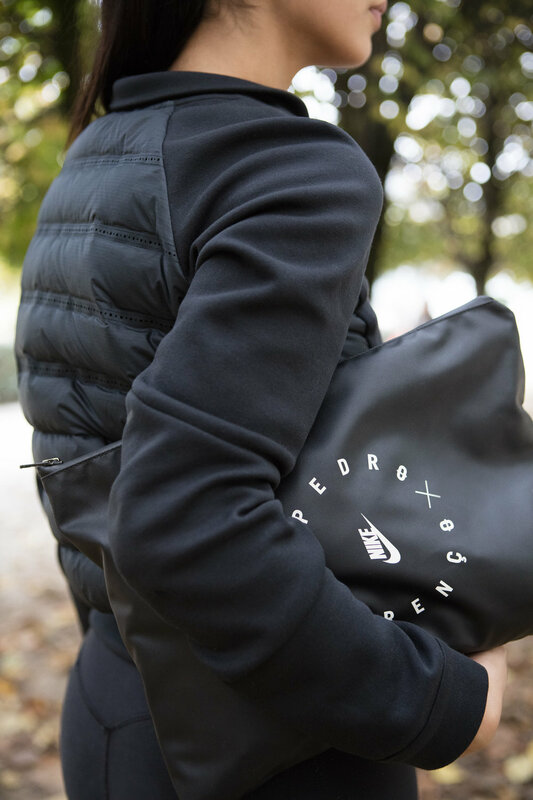 1 piece of clothes : My pair of Nike Free Run x Pedro Lourenco. 1 store: Nike LAB P75, in the Marais. 1 tip: I always have my workout gear with me, so I'm always ready. 1 hair style: A bun. 1 accessory: A Nike sweat headband. Very 90s but I love it. 1 ritual: Drinking water. A lot of water. Before exercise for hydration, and after for recovery. Simple and efficient. Thank you: John Martins Trainer: boxing coach, Dynamo Cycling instructor and Bootcamp coach.